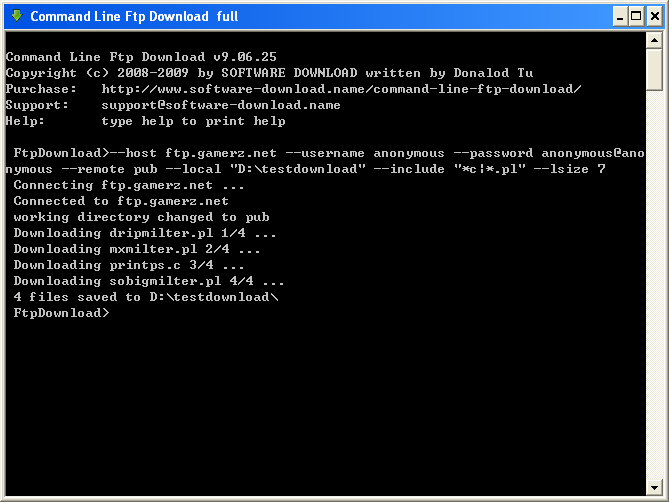 With 'Command Line Ftp Download' you can download files directly from windows command line (DOS prompt). Your can Call 'Command Line Ftp Download' from any software. With 'Command Line Ftp Download' you can download files directly from windows command line (DOS prompt). Your can Call 'Command Line Ftp Download' from any software. file include filter and file exclude filter are supported by 'command line ftp download'.